What?! I’m Out of Hair Gel??? So I have an audition today, and I will have to take a long, hot trip on the bus to get there. It’s going to get up to 90+ degrees today on Oahu, and that means my hair is going to be a mess, unless I put it up … but that would not bode well for this audition. The character I am auditioning for would have beautiful, well groomed curled hair. The play takes place in 1971, in North Carolina, and she is the wife of a colonel. To deal with the potential hair disaster, I looked around for hair gel, to help set the hair when I curl it – no luck. I am totally out! Even the little bottle that my husband sometimes keeps for his out of town meetings is gone. So, what’s a girl to do? I’ll tell you what, make some! Luckily I had the ingredients on hand. 1/4 cup of warm water. Purified water is best. 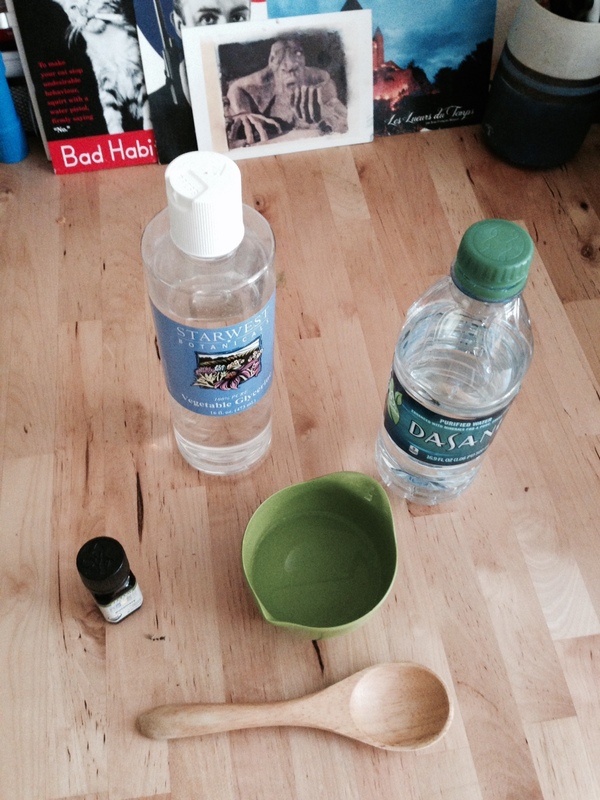 1 – 2 tablespoon of vegetable glycerin (depending on the hold you are looking for). Essential oils. 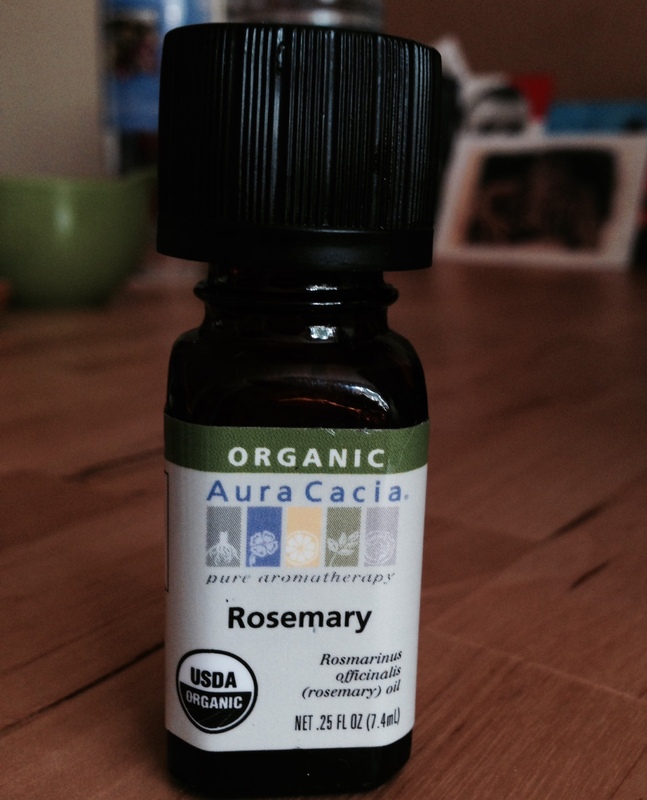 I chose Rosemary, because it smells good and offers that “back home” feeling – something I want to encourage in my performance today. Mix the glycerin with the water and add 1-2 drops of the essential oil. With the oils, remember that you can use different oils depending upon your hair type. If you have dry hair, you might want to try: Lavender, rosemary or sandalwood. For oily hair: lemon, lime, cedar wood, thyme or clary sage might be good options. Use tea tree oil if you have dandruff. The gel should be refrigerated after its made, and it will last one or two weeks. Now I made half a batch because I don’t know if I’m going to land the role, and I don’t use gel on a regular basis. Remember to make only what you need, that way there will be less waste down the road. +I have not been paid to feature any of the above pictured products. However, I do use these products and I have been happy with them.